The Affordable Care Act (ACA) is requesting that healthcare organizations adopt ICD-10 code set standards and operating rules as early as, requiring documentation proving that healthcare organizations are compliant and that they have completed end-to-end testing with their partners. 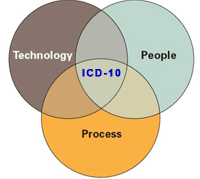 At Ayoka, you can count on your ICD-10 implementations being both compliant and fully functional without having to worry about reimbursement issues or Internal integration involves identifying and merging the individual processes of ICD-10 to seamlessly integrate it into your existing processes. Comprehensive implementation timelines that address your needs will help along with open communication between us so that we can seamlessly integrate the new ICD-10 code set standards. We will help to optimize the flow of processes by helping you identify, add, or remove any steps for review and approval before validating the test region to make sure all of the required processes have been integrated correctly. Making changes and testing those changes in the internal systems before testing new implementations with external partners, ensuring continuous delivery, will prove paramount in the migration from ICD-9 to ICD-10. Testing on the external servers should consist of both small and large clients with a wide array of different submission and data input-both manual and automated testing is beneficial. It is important to establish the confidence that both historical transaction data and new incoming data will be passed successfully. High-volume procedures, diagnoses, DRGs, and payers should be the first priority.interruptions to workflow with payer-to-payer testing validations. Integration with large payers, like Medicare and Medicaid, ensures that data received is properly transmitted to the payer receiving them. It will provide increased visibility and validation to the entire testing process. With healthcare as an evolving industry, web based applications provide the greatest flexibility toward future changes in HIPAA, as well as mergers or acquisitions among your healthcare customers. 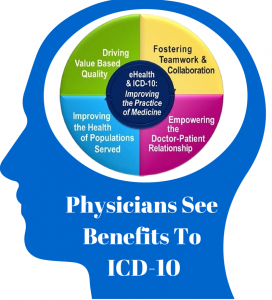 Coordination of the internal transition plan with product implementation along with addressing potentially necessary system upgrades/replacements that will be necessary to accommodate ICD-10 will prove necessary for seamless integration with existing ICD-9 standards. Addressing the costs involved and determining when upgrades or new systems will be available for testing and implementation for the new code set standards, along with offering customer support and training can all be addressed in-house at Ayoka! Ayoka’s highly collaborative approach to custom application development services emphasize local, hands-on interaction with team members that visit your organization, meet in person, and talk to your end-users. This level of customer service is the foundation of Ayoka’s custom application development services. We will accommodate both ICD-9 and ICD-10 as your customers and clients work with services offered both before and after the transition to the new ICD-10 code sets. The CMS website has official resources for ICD-10 and will continue to add new tools and information to the site throughout the course of the transition.